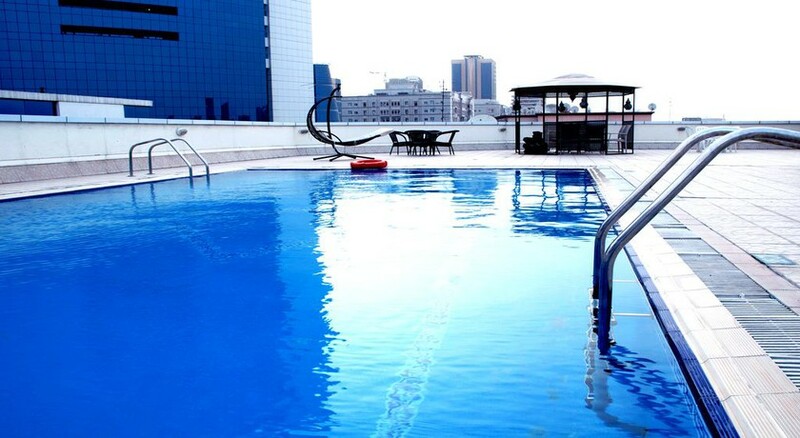 This apartment hotel is situated in the centre of Dubai- 3 km away from the museums and 9 km from the beach. 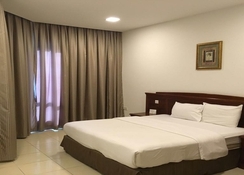 Shopping can be found in the direct vicinity of the hotel and Dubai International Airport is located some 10 km from the hotel.This air-conditioned establishment is a modern four-storey hotel offering contemporary service and cordial hospitality. 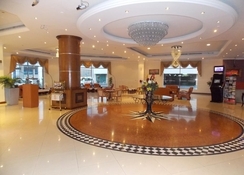 There is a lobby- which provides lift access and guests can enjoy a relaxing coffee in the café or wine and dine in the hotel restaurant. Those arriving by car may leave their vehicle in the car park provided for guests.The 72 apartments all feature modern decor in neutral colours with cherry wood furniture and all include kitchenettes with microwaves- refrigerators and cookers. Other modern in-room amenities also include satellite television- a direct dial telephone- Internet access- minibar and bathroom with toiletries and hairdryer.Guests can enjoy a swim in the outdoor pool- relax in the sauna or steam room- or work up a sweat in the fully equipped gym.Breakfast and lunch are served buffet style and in the evenings guests can choose dishes from an à la carte menu.The best way to reach the hotel is by taxi. Taxis are readily available at the airport. 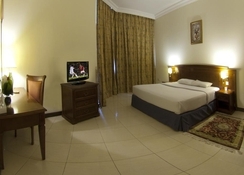 This air-conditioned establishment is a modern four-storey hotel offering contemporary service and cordial hospitality. 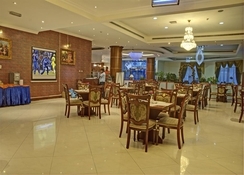 There is a lobby, which provides lift access and guests can enjoy a relaxing coffee in the cafï¿½ or wine and dine in the hotel restaurant. Those arriving by car may leave their vehicle in the car park provided for guests. Featuring traditional wood furnishings, the casual studios offer free Wi-Fi and satellite TV, plus living areas and kitchenettes. The 1- and 2-bedroom apartments add separate living/dining rooms and washers/dryers. Room service is available 24/7. 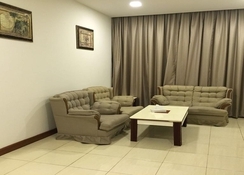 Overlooking BurJurman shopping mall, this relaxed, all-apartment hotel in a contemporary building is within an 10-minute walk of the nearest metro station and Dubai Creek. There's an informal restaurant serving vegetarian and international cuisine, as well as a rooftop pool with views of the city. 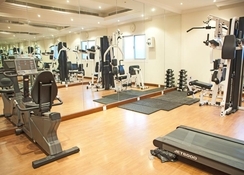 Other amenities include a gym, a sauna and a steam room. Parking is free.